When you have been arrested for a crime, your whole world stops in its tracks. You’re unable to work, unable to return home and consult with your loved ones and you’re generally unable to attend to the everyday responsibilities you had before your incarceration. But while you’re awaiting your trial date, you do not need to stay behind bars. If you can post the set bail, then you will be allowed to remain out of jail with the understanding that you will appear in court when summoned and will not leave the court’s jurisdiction until your case is settled. However, bail often costs upwards of $1,000 depending on the crime and the stipulations of the court. 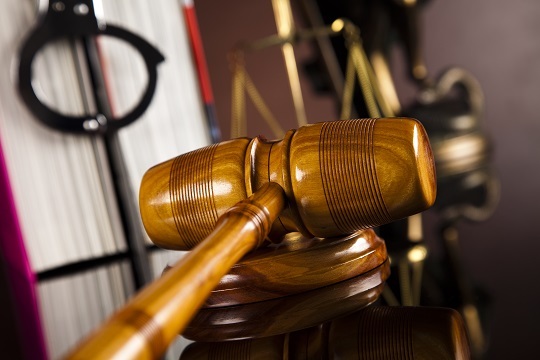 The judge sets the bail terms, not the police, and you will need to go through the court to handle any proceedings related to posting your bail. But what if you don’t have thousands of dollars tucked away in savings? Most of us don’t have a substantial “rainy day” fund, and it’s no stretch to say people don’t save money in case of emergency bail. So, if you can’t pull together the cash, are you stuck where you are, waiting in a cell before you’ve even been convicted of a crime? No. With the help of a bail bond agent, you will be able to post bail for a fraction of the cost. How does a bail bond work? In order to receive a bail bond, the defendant will need a guarantor – a person to sign the bond agreement with the bail bond agent and offer collateral, as well as pay the premium required by the agent. Typically, a guarantor is a friend or family member close to the defendant who can honorably vouch for them. If the defendant fails to meet the parameters of the bond agreement, the guarantor will often be on the losing end. What is collateral and premium payment? Collateral is any type of non-monetary good offered to the bond agent as part of their insurance that the defendant will appear in court when summoned. Collateral can be anything of high value, from jewelry and vehicles to firearms. If the defendant fails to appear in court, the bond agent seizes the collateral. A premium payment, however, is a percentage required by the bond agent in order to post bail for the defendant; it is usually set at only 10 percent of the total bond amount. What happens if the defendant does not appear in court as arranged? While the defendant cannot be charged with additional crimes, he or she will cost his/her guarantor their collateral and premium payment. Additionally, bail bond agents have the legal right to hire bounty hunters to enforce the stipulations of the bail, since it is the bond agent’s job to ensure the defendant shows up in court. Bail is a privilege and a bond is still a binding contract and should be respected as such. If you are looking for more information regarding bail bonds or need help finding an agent in your area, there are many possibilities. Elizabeth has worked in bail bond offices in the past, which is where she learned the ins and outs of the industry, and what a vital role these professionals can play in the lives of those accused of crimes and their families. She hopes the information she has provided will clarify some key points about this business so that people know what to expect in the process. The court system will set the bail amount for the release of an individual. An agency can provide a bail bond that contracts full amount of set bail to be paid if the defending individual doesn’t attend their court date. Bail bonds are only offered by licensed bail bond agencies. I have know more at Orlando bail bonds about how do a bail bond work.